Talent management is a business strategy that organisations hope will enable them to retain their most talented employees. Just like employee involvement or employee recognition, it is the stated business strategy that will ensure the attraction of top talent in competition with other employers. What appears to differentiate talent management focused practitioners and organisations from organisations that use terminology such as “human capital management” or “performance management”, is their focus on the manager’s role, as opposed to reliance on human resources, for the life cycle of an employee within an organisation. 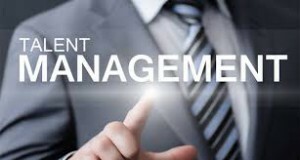 Talent management gives managers a significant role and responsibility in the recruitment process and in the ongoing development of and retention of superior employees. In some organisations, only top potential employees are included in the talent management system. In other companies, every employee is included in the process. The majority of these work systems are squarely in the hands of the employee’s manager. HR can provide support and backup but the day-to-day interactions, supporting the new employee’s success and developing and coaching the employee come from his or her active, daily interaction with the manager. HR can take the lead in some of the activities you see on this list, especially in recruiting and selecting. HR is also deeply involved in the performance system, career planning and leading the development of the systems. But, managers are the means to execute. Talent management is a business strategy and you must fully integrate it within all of the employee related processes of the organisation. Attracting and retaining talented employees, in a talent management system, is the job of every member of the organisation, but especially managers who have reporting staff (talent). An effective strategy also involves the sharing of information about talented employees and their potential career paths across the organisation. This enables various departments to identify available talent when opportunities are made or arise. In larger organisations, talent management requires Human Resources Information System (HRIS) that track the career paths of employees and manage available opportunities for talented employees.